The map shows areas of the SIR that may currently have a salinity risk to agriculture productivity and ecological health. 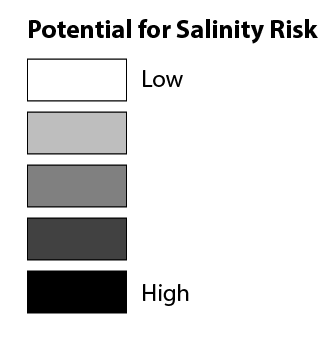 The shading represents the degree of this salinity risk. Areas that are shown as an opaque white colour currently have a very low risk.